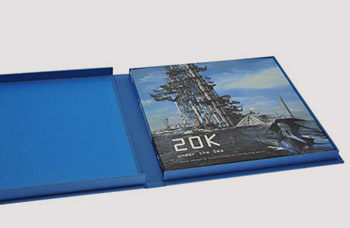 The canvas option gives a nice artistic quality to the book cover while the paper and laminate option is ideal for photo books and corporate binding. If you require a printed cover we will email to you a pdf template for the cover once your book is printed. With this template you can accurately design your book cover with InDesign or Photoshop software then save it to PDF and email it back to us for printing – easy! Our printed cover options are very popular with students, architects, fashion and family memoirs.